Colorado Fiber Arts Located at: 121 Broadway Avenue Pueblo, CO 81004 719-543-1161 Opened in September of 2006. We carry supplies for Knitting, Crochet, Weaving, Spinning, Tatting and Felting. 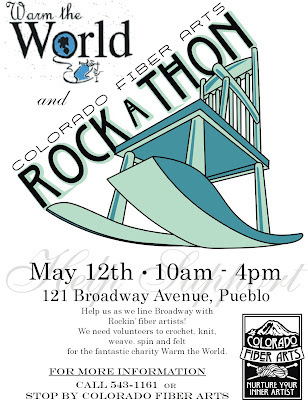 We are proud to announce details for our CFA (Colorado Fiber Arts) First Annual Rock-A-Thon to benefit Warm the World. To be held May 12th - 10am to 4pm at Colorado Fiber Arts! Help us line Broadway with Rockin' fiber artists! We have sign up sheets, pledge sheets and posters now available at the shop. Collect pledges of support and we'll donate all funds to help offset operational expenses for Warm the World. Clean out your stash and bring in yarn, needles, patterns - any bits you don't need anymore. The Rock-A-Thon will be a collection day! Call or stop by for more information We could go on and on... really! 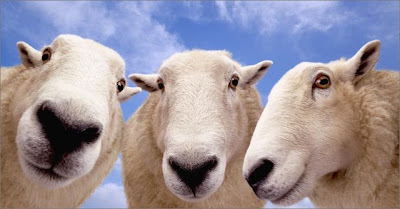 This weekend April 20th & 21st, in honor of this wonderful planet we live on, CFA is offering 20% off all Bamboo, Soy Wool Stripes and Inca Organic Cotton. Plymouth's Bamboo is perfect for a slinky little wrap or tank, Soy Wool Stripes felts like no other yarn we've seen (it gets drop dead gorgeous) and Inca Organic Cotton is perfect for bath towels, summer tanks or even baby blankets. Also, on a side note - our Cotton Fleece arrived, our huge book order is in and so are our new pre-felt bags... You'll have to come in to get a peek! Thanks for sponsoring the Rock-a-thon today. It was lots of fun, and I'm so glad that I stopped by. It was great to meet wonderful ladies and visit while working on projects for WtW. I didn't know about your store before this, and I will definitely be coming back! Top 'O The Day To Ya!